Think about your own web browsing patterns and the hundreds of subconscious decisions you make every time you visit a web site. Your quickly scan a page actively seeking what you’re after when performing a task. The pivotal question to consider is how well do your government organization’s web pages perform when one of your customers do the same thing? What grabs their attention so well and so intuitively they follow the correct link? The words used: is there a mental connection between what they’re after and what they read on the page? The language used: is it bureaucratic, plain English or casual? What connects with your citizens and businesses based on their information seeking patterns? Images: does using an image grab attention and drive value? What works better – photographs, stylized drawings or icons? Visual style: do certain presentation elements appeal and attract your customers? How does the use of color – both in text and backgrounds – draw their attention? Layout: does the positioning of the message on the page have an impact? You should be now considering how do you make those pages work better for your local businesses. You could make an educated guess and trust a ‘gut feel’. You could defer up the chain to higher level decision makers in your organization. You could even run some focus groups to draw out insights. But the single most effective method by far that drives greatest value is multivariate testing. What does multivariate testing achieve? The most important is improved customer satisfaction. If the businesses in your jurisdiction can more easily find what they’re after, they’ll be more satisfied with the experience. This builds loyalty to your web site and its brand, and more broadly you organization and the government itself. Something government leaders are very keen on! Word of mouth can be a powerful thing. Business owners and managers are more likely to listen and remember recommendations from trusted friends and family who had a good experience with your government's G2B web site. By making it easier for your business customers to find what they want online you’ll reduce abandonment and avoid costs of more expensive service delivery channels like counters and the phone. Finally it helps mitigate internal conflicts on web page design and layout. Web managers and senior executives across government have a lot of emotional attachment to their internet sites and often think they know what’s best. Ultimately though it should be driven by evidence. “Let’s see what our customers think,” can be a powerful statement helping detach emotional elements and ownership from the pages. After all doesn’t the web manager ultimately have their customers’ best interests at heart? How does multivariate testing work? Put simply multivariate testing is a live experiment on your web page looking at how if you change elements you can improve click-thru rates or transaction conversions. You set up the changed components and in a controlled random setting present them and record their conversion rate mapped against the existing solution. Then it’s as easy as collecting enough data to make it statistically accurate and implementing the winning combination. 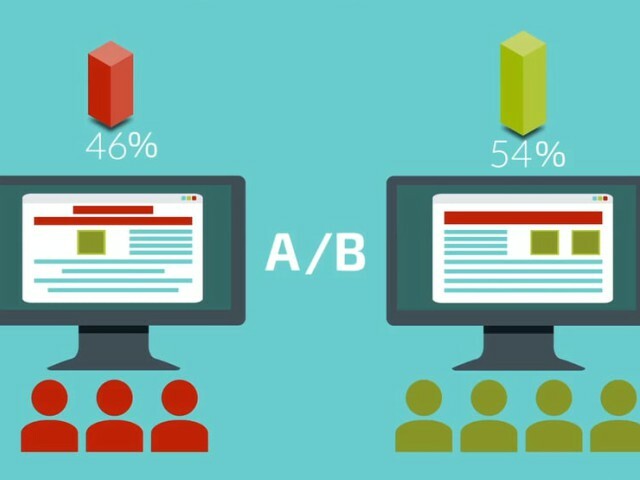 Limiting variables to just two components is a simpler and faster technique called A/B testing. It works very well but doesn’t test combinations which can drive a potentially better result. In the past governments have shied away from multivariate testing because they’ve implemented a content management system that works like a straight jacket. But with two fantastic products on the market it has never been easier (and cheaper) to achieve fantastic results. Optimizely is a great product that can help government organizations implement A/B and multivariate testing effectively and easily. Looking to create a "Amazon" style personalized and targeted delivery of content? Based on a user's journey, or people who've behaved similarly it can do that too. Their website doesn't include its pricing structure, just a big "Contact sales" button which has no doubt been multivariate tested to death. A 30 day free trial does exist through if you want to see what results you can get from Optimizely. The other possible "gotcha" is whether it will work with your government organization's content management system. They do support a number of CMS's, but it is far from an exhaustive list. This is a brand new product released recently by Google that will blow your socks off. Not only is it incredibly good, integrates fully into your existing Google Analytics account it is 100% free. Sure, there's a premium product called Optimize 360 for enterprise level solutions which has a price tag. But the great thing is its ability to plug into your existing CMS and your existing analytics solution. With either solution you need to set up the targets for your testing variations. Google Optimize includes bounces, page views and session duration as default objective options. Plugging Optimize to your Google Analytics account will allow you to also test against any custom goals created for your Government to Business site. Make sure you check it out as it can take the G2B digital experience for your business customers up a level. Easily. Why is Government so slow on the uptake? While Google's solutions and Optimizely are recent entrants to the market, the technology has been there for ages for government websites to run A/B and multivariate tests. The private sector, particularly in the entrepreneurial tech sector live and die on the basis of small incremental tweaks to their digital offerings based on real time testing. The ROI on this investment is huge and if implementing Google's free Optimize solution it's in fact infinite. Reluctance from senior executives to let go of decision making. The hierarchical nature of government organizations and need to be accountable for business decisions often sees a risk adverse approach being adopted that complements the cultural project management issues above. Surprisingly though, going down the A/B and multivariate path actually manages risk exposure far better. With Optimizely or Google Optimize the technical complexity of point 1 disappears. The argument for point 2 is also mooted thankfully now government IT teams are getting behind Software as a service and the Cloud. Points 3 and 4 can be harder and need to be driven through leadership, showing the way for transformational change. But that's the kind of drive a senior executive like yourself needs to champion. Especially when the benefits to businesses in your jurisdiction and your organization are so great.